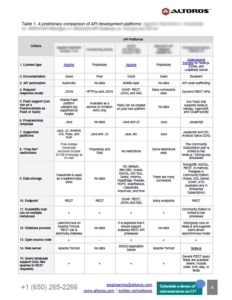 This 12-page research provides a comparison of two popular tools for automating API development. 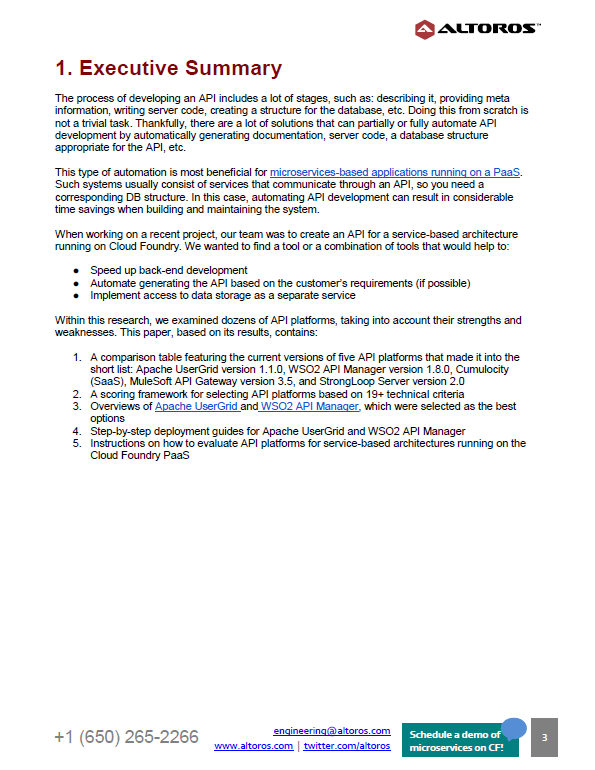 It also briefly overviews Cumulocity, MuleSoft API Gateway, and StrongLoop Server that may serve as alternatives. 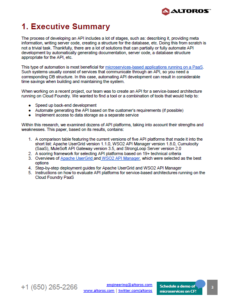 This paper might be particularly useful while implementing microservices-based architectures with PaaS systems, such as Cloud Foundry. 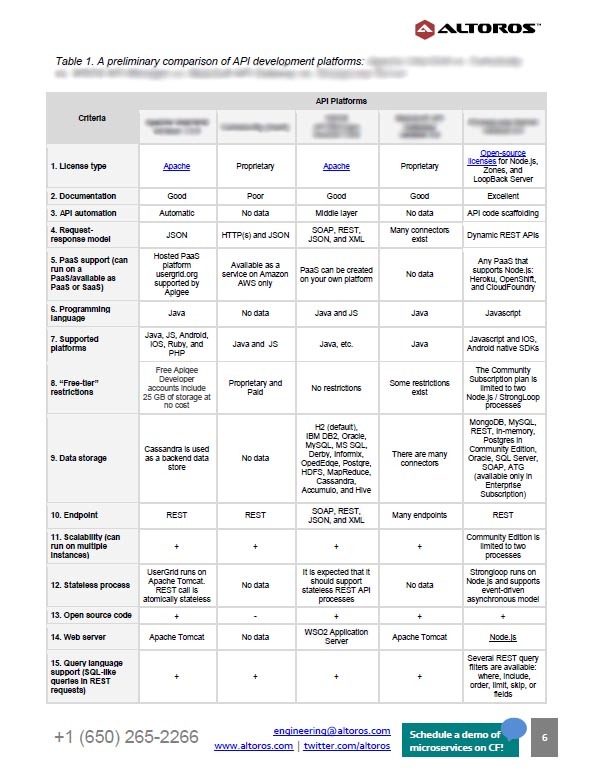 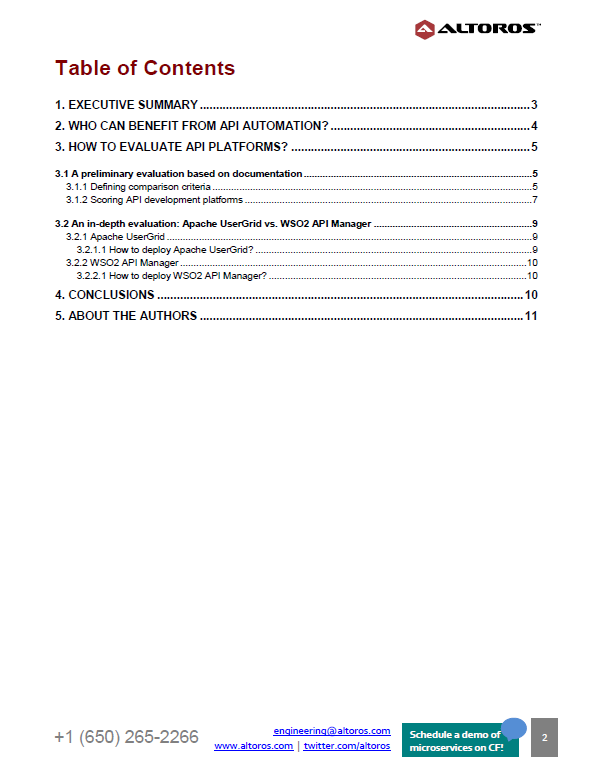 The study provides a scoring framework for selecting API platforms (based on 19 technical criteria) and a comparison table of Apache UserGrid vs. WSO2 API Manager. 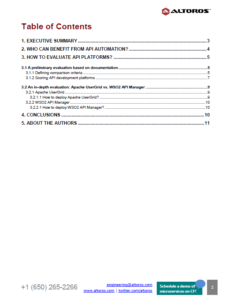 It also features step-by-step deployment guides for Apache UserGrid and WSO2 API Manager.